What Type Of Kids Music Training Is Necessary for Young Performers Involved in Musical Theater ? There is no simple answer to this question. You need to study the area of kids music which is right for you as an individual. Kids have been successful in their study of music by playing many different instruments. Choose what you believe is best for you, but by all means, choose. Study the French horn, the oboe, the bassoon, the trumpet, the piano, the flute, the saxophone, the clarinet, the cello, the violin, the guitar, the trombone, the drums...whatever interests you. Experience the joy of playing a musical instrument or two. A Broadway performer who has an incredible voice, told me recently that he could mimic any tune played for him but... he could not read music. He felt that when he auditioned he was at a disadvantage. He had never been trained to sight sing. He believed this was the reason that he had not been cast in several parts for which he was perfect...meaning... voice range, physical characteristics, training...but we'll get into that on another page. He believes that any young performer who studies music and learns it well is on the path to professional success. 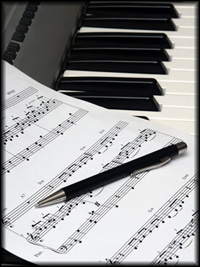 Music training is essential for those young people who want to participate in Musical Theater. Young musical theater performers who have a good foundation in music are at a large advantage over those kids who have not been trained. Trained kids seldom find themselves in situations where they feel that they are totally unprepared. My son has been to many auditions at which a new piece of music(new to him) was given to him and he was asked to sing it on the spot. Through his instrumental studies, voice lessons, and his study of sight singing(another subject reserved for later) he has become good at reading music. This has been a very valuable talent, allowing him to make the attempt without the embarrassment of not being able to follow along with the accompanist. Do You Think Music Training Benefits A Kid In Other Ways? The music advantage not only applies to how it effects your Musical Theater career, but how it effects all areas of your life. There have been many studies done that show a strong relationship between the development of life skills in young performers and a kids music education. Take a minute to think about the ways you can benefit through a good music education. Commitment to Learning, Attending Rehearsals, and to Practice. Music also helps to improve a performers Coordination, Concentration, Sensitivity to others and their patience. Additionally, through kids music study, a young performer learns self-discipline. They improve their ability to memorize and concentrate not only on music but in other areas of intellectual pursuit. Kids music study also builds teamwork skills. Band and orchestra performances are team efforts. Playing in these groups enhances a kids feeling of accomplishment and gives a kid feedback. Kids learn that if they work hard to achieve a goal they can be successful. Overall, self-esteem builds through a kid's association with music. Kids who perform music in solo or group recitals learn that it is alright to take risks. They work through their feelings of anxiety and learn to cope with them in an early stage of life. 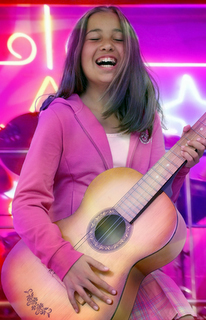 Music study, therefore, helps kids to overcome any stage fright they might have. This, needless to say, is a very good thing. By experimenting and listening to lots of music, you can get a better idea of your own taste in music. Try listening to different types of music, both vocal and instrumental. Ask your folks, a teacher, a friend, or the local librarian for suggestions. Do some research about listening to kids music. In no time, you'll be an expert at what YOU like and if it takes a little longer than you expected, that's OK. You have your whole lifetime to keep checking it out.